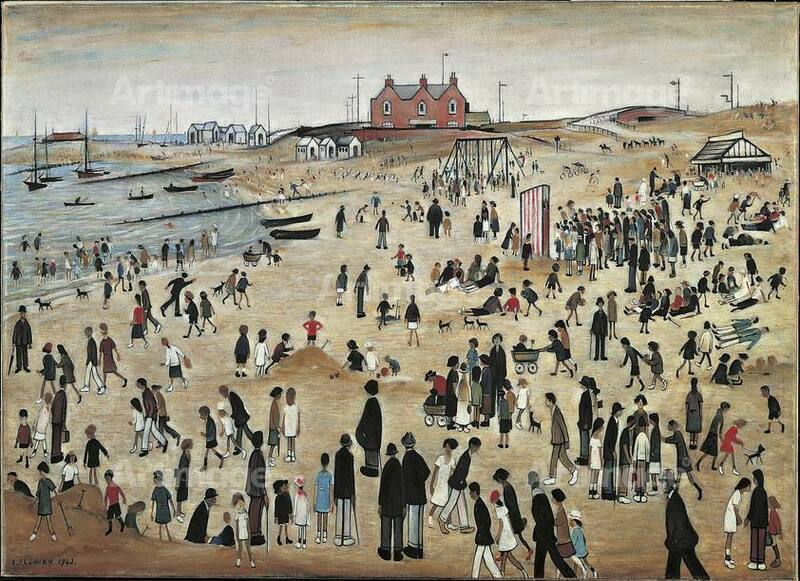 L. S. Lowry was an English painter born in Lancashire in 1887. 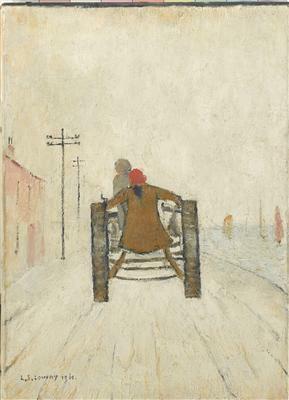 He is internationally known for his popular, mid-20th century works depicting scenes of brooding industrial landscapes and everyday urban life in the North West of England. After completing his studies in 1905, he worked in Manchester for a firm of chartered accountants and studied art in the evenings under the French impressionist Adolphe Valette. 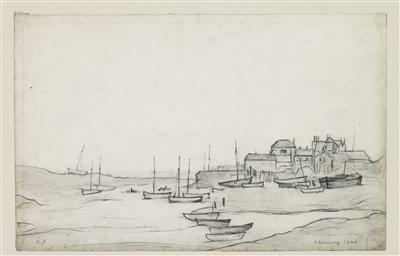 Parallels are often drawn between his work and that of the nineteenth-century French Impressionist ‘painters of modern life’. 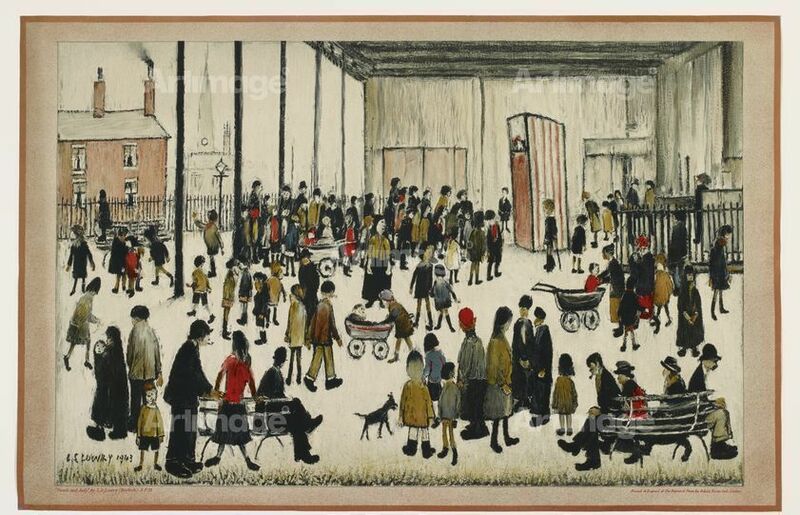 Lowry became a Royal Academician in 1962 and is considered one of Britain’s most popular artists. A large collection of his works is on permanent public display at the Lowry, a gallery in Salford Quays built in his honour. In 2013, a major retrospective was held at the Tate Modern.